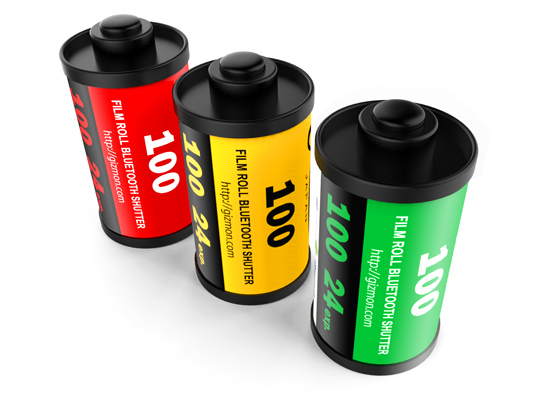 Bluetooth® shutter that looks like an old film cartridge! This is a bluetooth shutter shaped in the form of a camera film cartridge. Its size is very small that it can be carried with you anytime, anywhere. It will make your daily life more delightful by using it with a selfie stick. Also, this bluetooth shutter can be used with many major camera apps. 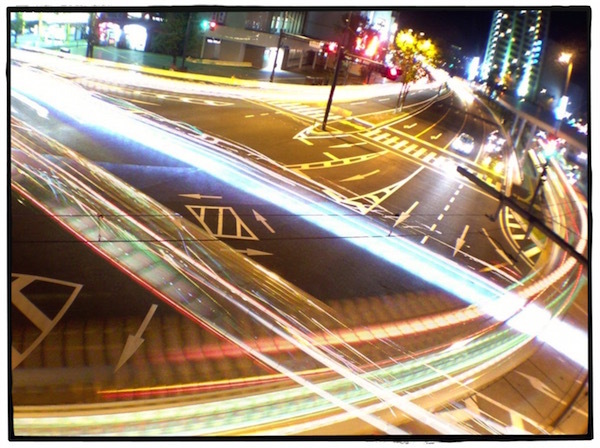 Therefore, you can enjoy bulb shooting with your smartphone. This product is a wireless remote shutter by using Bluetooth® 3.0 and can be used in the operation system of iOS and Android mobile phones and tablets. The product supports a video/camera recording mode (it needs to be used in a standard iOS and Android camera APP, or a video camera recording mode supported by the third party APP. It has to be manually switched and then it can be used with a remote control. The product can be controlled up to 10 meters (30 feet) without any obstructions. This product has a built-in lithium polymer battery, which can be used to take more than 30,000 pictures with a full charge battery. done by pushing the top button. the USB port on the bottom. 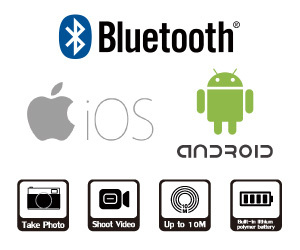 Most Bluetooth® remote shutters cannot be used with the major camera apps, BUT the “GIZMON FILM ROLL BLUETOOTH SHUTTER” CAN be used with major camera apps. No need DSLR! Take your Smartphone with you and shoot anytime with “GIZMON FILM ROLL BLUETOOTH SHUTTER”! 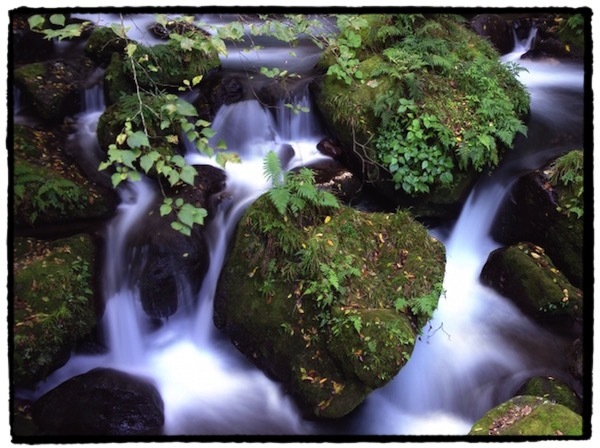 For successful shooting, use tripod and apps such as “Slow Shutter Cam”. It makes your photo like professional. Amazing night shootings with very easy steps!.. 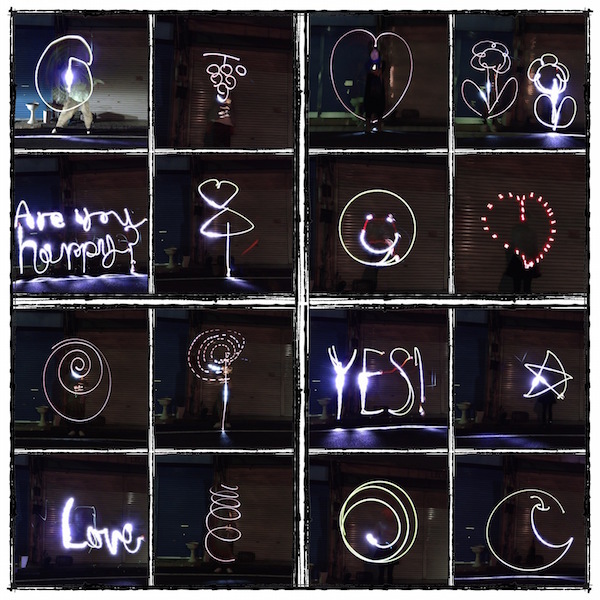 Play with your friends and enjoy the light painting works!